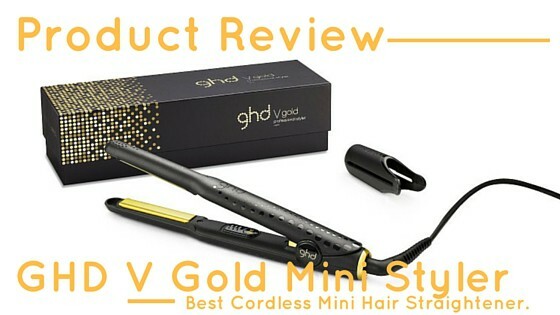 The GHD V Gold Mini Styler may be small in size but the performance is huge and is exciting to say the least. This luxury tool performs professionally and although is a mini straightener designed for travelling and is one of the best cordless hair straighteners we have found yet, this product is also great for shorter hair types. The narrow plates allow for precision styling, such as smoothing out cowlicks, kinks and fringes and for straightening right from the root, which is especially needed for shorter hair getting right up to the roots. It’s also great for on the go so that you can keep your style all throughout the day no matter where you stop to touch up your hair on your travels. This will prevent any damage being caused to your hair as this is how split ends can be caused when plates are pulling and snagging the hair. The design of the GHD Mini styler is outstanding, the smaller contoured plates give you more control and styling power more than ever before. The GHD Mini is a full size product so don’t expect any less from this design, all that is different is the size of the plates. The plates on the mini styler are only 0.5inch wide yet the GHD IV Styler the plates are 1-inch-wide, so you can see that these are half the width which makes them that much smaller. Thanks to the new and improved outer surface, the GHD Mini now stays cooler for longer making it easier for you to spend as much time as you need to create your style. This design has also been made lighter to carry which is perfect for when taking them travelling and you won’t get that ache in your arm that we all know we get after using a normal pair of GHD’s as these are so much lighter, handy! The lustrous design makes it easy to handle, for all types pf styling whether it be curls, flicks, waves and of course the super straight sleek style can all be made easy with the GHD Mini styler. Smoother gold plates glide effortlessly through the hair to make straightening even quicker and easier, with a high shine, salon-style finish, all with only one glide of the hair to achieve your style with the section of hair chosen this will save you time styling your head of hair. The sleek design allows for better handling for all types of styling too, and the protective plate guard safely covers the hot plates when you need to style and go. 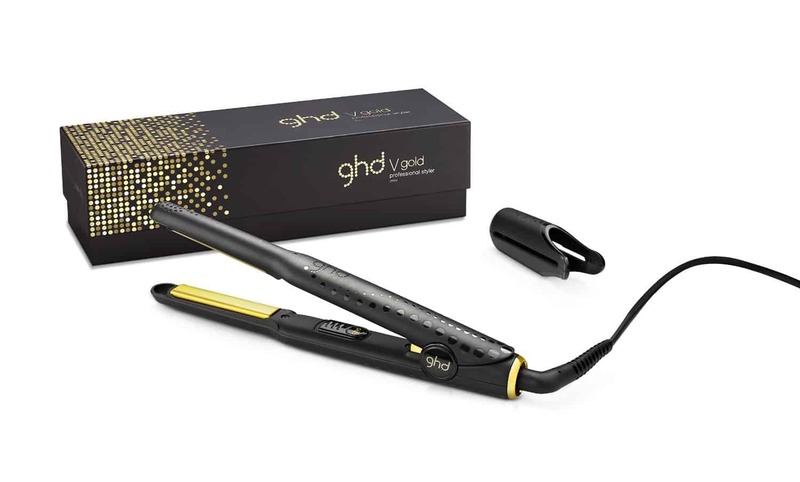 The gold GHD Mini works between 175 and 185 degrees and it will only take 30 seconds to heat up to the chosen temperature. Smoother gold plates glide effortlessly through the hair to make straightening even quicker and easier, while their contoured edges help to create perfect curls and waves, all with a high shine, salon-style finish. ​- Excellent product. Ready to use in seconds. Great results. Lightweight and ideal for travel with dual voltage. Automatic Switch off when not in use gives peace of mind. Price is something that we are all stuck on what to spend, now this mini styler is on the higher end of the scale on amazon currently at £98.99 but we feel this is worth every penny due to it literally containing all the same features as a regular straightener but just in a smaller body which is gold dust to find. 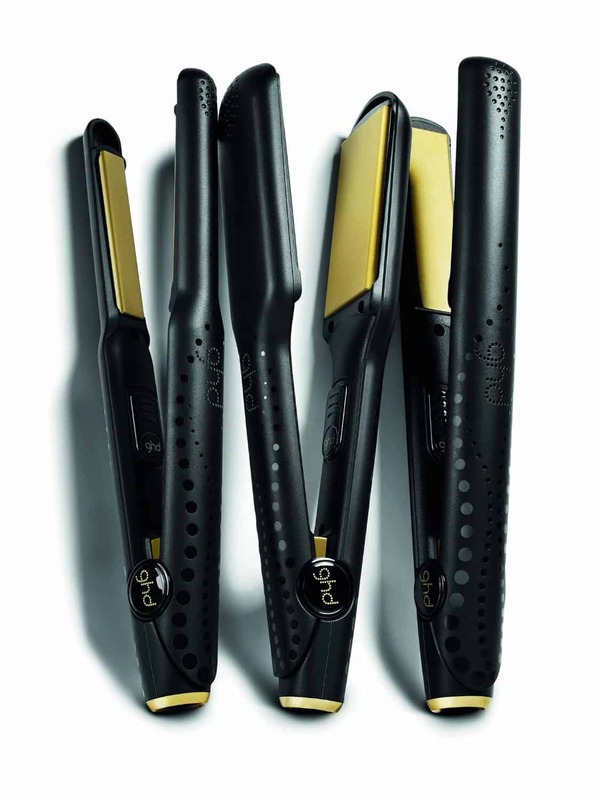 Over all this straightener is outstanding with all the features available, this product gives your hair exactly the same integrated features as a normal straightener like the GHD IV Styler it is just smaller, lighter and more compact, what more could you ask for. If that’s not enough to convince you it comes with a two-year manufacturer's warranty, so go on give it a shot!